Financial beleaguered Kingfisher Airlines saw its second quarter revenue for fiscal year 2012~2013 plunge a massive 87% to just Rs. 200 crore (Rs. 2 billion) from almost Rs. 1,553 crore in the same quarter a year ago. 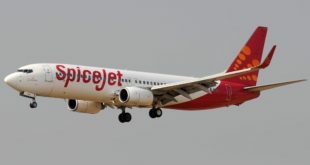 The airline which has not operated a single flight since October 1, due to strikes and a suspension of its operating license saw its quarterly losses before tax, balloon by over 60% to Rs. 1,115.5 crore, compared to losses of Rs. 693.8 crore from the same quarter last year. Clearly the claimed “holding plan” of the airline is not working. The first quarter results earlier this year saw quarterly revenue plunging 84% from the same quarter a year earlier, and the quarterly pre-tax losses were almost Rs. 694 crore. Large at that time itself, but diminutive by this quarter’s numbers. In the first quarter, losses at the airline were 3x the revenue, this quarter, the losses have jumped to 5.5x i.e. the airline lost Rs. 5.50 for each rupee it earned. The leader of the lending consortium, State Bank of India (SBI), which has an estimated exposure in excess of Rs. 1,200 Cr. to Kingfisher Airlines, yesterday, is almost begging the airline’s promoters to inject a minimum of $ 1 billion (approx. Rs. 5,500 crore) before this month’s end for its revival. Kingfisher Airlines has been in a holding pattern, operating a limited schedule since March 2012. Kingfisher Airlines is preparing a comprehensive plan for re-start of operations which will be shared with the DGCA and bankers. The airline is in discussion with various stakeholders to ensure that there are no future disruptions. Kingfisher Airlines expects to resume operations in the near future. 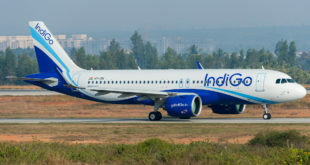 If the airline had an investor, don’t you think it would have put out some plans till now? Share your thoughts via the comment system. You will observe, Bangalore Aviation has not done any analysis per se on the results. What can we analyse?